Indianapolis is a family friendly cosmopolitan capital of Indiana, boasting over a million people in the metropolitan region. 4lobe Events Indianapolis provides an array of services, including special events, corporate team building activities, and tours throughout the indianapolis metropolitan region, and closeby cities of Carmel, Zionsville, and Westfield. Our goal is by emphasizing food drink and culture, we can provide a viable alternative to traditional team building activities, and events, for both corporate and non corporate groups of nearly any size. We offer events and team building activities in areas throughout the city, including historic fountain square, massachusetts avenue, fletcher place, and broad ripple in indianapolis. In order to be conveniently located for your group, we work with a number of venues throughout the city, and can run events in nearly any space. Finding the right indianapolis metropolitan area location is important for any get together. If you do not know where to start, we can help and offer site visits to show you what indianapolis and surrounding areas have to offer. Our award-winning event planning staff offers creative value driven solutions within the needs of your group. We work with venues throughout indianapolis, both within the heart of the city as well as the surrounding metropolitan district. 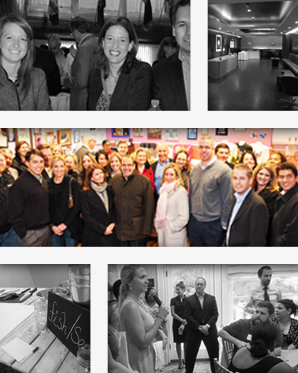 4Lobe Indianapolis has an archive of thousands of events, team building, bonding, and tours over the past decade, for corporate clients of all sizes, wedding parties, friends, family reunions, and other non corporate groups interested in indianapolis. This indy and national archive that can be utilised and fully customized to meet your groupÕs requirements and exceed your groupÕs expectations. Team building activities, often but not always corporate, are an important tool used to facilitate synergistic connections for individuals working together. A successful team building activity should bring individuals to areas outside of their normal routine and offer the opportunity for bonding, and the understanding of each other and their roles, mission and ultimately goals within their organization or group. The ideal team building activity is an interactive, fun experience that can bring real learning and growth to groups. By incorporating the tastes, smells and sites brought from food and drink, team building activities have the ability to become a highly anticipated part of a schedule, and a part that is remembered long afterwards. Although often times team building activities are considered for corporate groups, it should be noted they are a great option for educational and not for profit and spousal groups, as well as family reunions, wedding parties, bachelor, bachelorette, birthdays and get togethers. Choose from non corporate multiple day events specially planned tours, transport, events, and more that can be adapted to follow nearly any theme or particular interest. Cocktails, appetizers, post challenge meals, catered meals and receptions can be combined with the challenge. We can use your space or find the right one for your group. The idea of culinary and cultural focused destination management is not currently mainstream, but is a way to incorporate food, drink, culture and a region itself into a corporate retreat, quarterly meeting, or convention. It is difficult when traveling for business to take time to explore cities within our nation. Indianapolis is a sometimes misunderstood metro area that offers much to the business traveller. Infusing cultural and culinary into a full service destination management company can provide more value and a more relevant product for todayÕs corporation. Including transportation, logistics, accomodations, site visits, meals, events, team building, spousal activities, receptions and more. 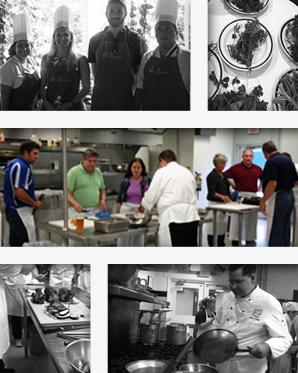 The Culinary Challenge series is currently our most popular set of team building activities. Guests are arranged into smaller groups who work together to create and present a finished product, such as a dish, based on a theme, and within an allotted time frame. A 4Lobe Indy Emcee oversees the event while our coordinators make sure it runs perfectly. By using our 4Lobe Mobile Kitchen setup, all groups have access to utensils, the Culinary Challenge can be run in venues nearly anywhere in Indianapolis. Challenges have pantry sections with a variety of produce, grains, proteins, herbs, spices, and are stocked based on the variation of the event itself. Some of our Indianapolis Culinary Challenges include: Iron Chef inspired, Chopped inspired, Around the World, Cocktail Challenge, Cupcake Wars inspired, Cake Creations, and more! Challenges can be run for groups of 6 or more, and up to a thousand, where additional emcees, coordinators, pantries, and crews are brought in for each hundred individuals. 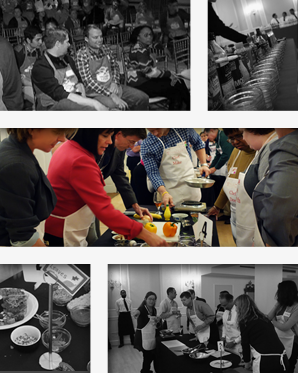 Work either individually or together as a group in one of our cooking classes. Learn techniques and tips from a highly trained indianapolis area chef, and create a fantastic dish or meal. Specially created recipes, hands on instruction, creative variations and flexibility enable us to create the ideal challenge for your group. Choose from a number of options, including introduction to Italian, Greek, Spanish, French, Vietnamese, Chinese, Thai, Brazilian, local flavors, multi-course meal, the art of plating, creating desserts, one pot cooking, creating sauces, Indiana classics, American Classics, Midwestern classics, and more. 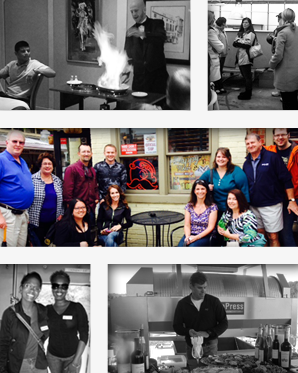 We work with our sister company Taste Indy Food Tours to provide your group with all tour based events and team building activities. More customizable for larger or VIP groups, the dine-around takes you to three rather than four or five restaurants, four either multi-course or family style meals at each restaurant. Dine Arounds can be offered either as a walking or a motor coach or limo based tour, can be within one or several Indianapolis neighborhoods, and can have beer wine or cocktail pairings throughout the way. Afn Indy Dine Around can be customized by restaurant style or have a specific theme. The Dine Around can also be customized to have a reception at the end of the tour. An ideal option for large conventions and corporate groups, the indy Single Restaurant Dine Around brings large groups of individuals to restaurants throughout the city, for pre selected multi course meals. Meals have the option for drink pairings, and receptions set up after the meal. We send guests to establishments based on their interest and likes and set up all transportation and logistics. If you have a place already chosen, we can help make sure that events can be convenient. Indianapolis is a beautiful city, but the metropolitan district and furthermore Marion County, is rather spread out and lacks the public transportation system despite its size. 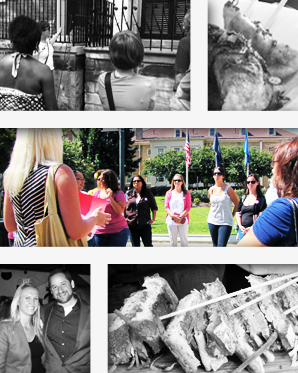 We run events and team building at venues, hotels, restaurants, and more throughout the city. Many of our team building activities typically run for 3 hours. Our food tours begin at 2-3 hours, and culinary focused events begin at 1-3 hours but other events last half, full, and multiple days. Explore the neighborhoods and unique culture of Indianapolis without leaving the venue with our Victuals Events. 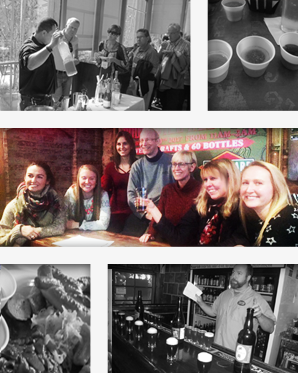 With the goal of recreating our award-winning Food Tours for your group, we bring together this sounds, the sights, the tastes, and the smells of highlighted neighborhoods or important locations within the Indianapolis metro area. Our victuals receptions serve as an alternative to a standard meal or group reception and can give individuals a look at the culture of an area especially if they do not have time to appreciate it on their own. Its revitalized downtown has seen nearly 25 years of growth following decades of decline and features beautiful, historic neighborhoods connected by bike paths to the core of the city identified by skyscrapers and financial institutions. The pedestrian friendly Wholesale district contains two professional sports teams, and dozens of bars, restaurants and shops and lofts for the young professionals. The City Market is one of the Midwest's largest indoor public markets and has been serving Hoosier's since before the civil War. Visiting any of the close by neighborhoods such as Lockerbie, Mass Ave, Fletcher Place and Fountain Square and you will find a healthy mix of revitalized commercial and residential buildings with great shops and restaurants of their own.